Writing is an interesting school subject. 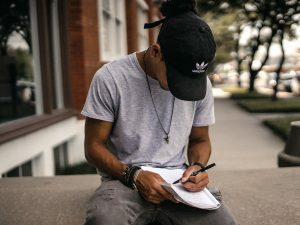 It’s one of the most subjective areas of academics — everyone has their own style, voice, and even their own handwriting. Being a good writer isn’t just something for the literary elite. Your child will write papers, essays, cover letters, and job applications at all turns in their life, so it’s important to hone in on the basics now. At Resurrection Christian School, we prioritize all the subjects, but there are always things you can do to help your child out at home. It’s not only a great learning experience for them (and you), it’s a way to stay involved with your child’s academics at our private school, and a way to connect with them. 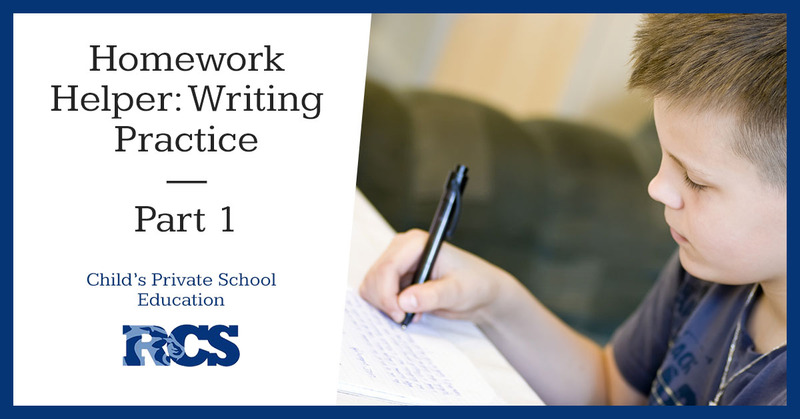 Take a look at these ways to work on writing practice with your child, and find more information on enrollment for preschool, kindergarten, elementary, middle, and high school throughout our site! Writing is just starting at this point for your young one. You don’t need to worry about sentences or perfect spelling yet (you won’t need to worry about the latter writing element for quite some time). These are the years where it’s all about getting the foundation down. For children at this age, writing can be very challenging. It requires fine motor skills that take time to develop. In general (but not always), boys take longer to develop their fine motor skills than girls — the reverse is true for gross motor skills, like throwing a ball. At this age, your biggest priority should simply be helping them get used to holding a writing utensil and starting to use it. Drawing and coloring are great ways to practice (and pretty fun, at that!). Try different types of utensils with different sizes, such as thicker markers or pencils, to encourage your young one. They might feel like they have more control when there’s more to grip. Another thing to note during this time? When your child is first holding something (usually as a toddler), you’ll find out pretty quickly whether they prefer their left or right hand. Give opportunity for them to practice both to see what feels right. Check out this article on ways to hold a pencil for more information! Of course, you want your child to draw freehanded and explore with using writing utensils, especially when they’re young. However, our private school also recommends getting some practice in with tracing lines — this will make it easier to trace letters later on down the road. By the time your child is getting ready for kindergarten, they should be able to write their first name and the first letter of their last name (capitalized). They should also be able to distinguish between uppercase and lowercase letters, even if they don’t know all their letters yet. In terms of writing, your child should be able to trace letters and write many letters independently. If your young one isn’t there just yet, there’s no need to panic! You can practice by printing off sheets and resources for parents and teachers from the web, or ask your child’s teacher if they have extra materials for practicing at home. Sight Word Match: Make a list of ten sight words (i.e. at, and, on, or, etc. ), then have your child copy writing them down in a column on a piece of lined paper. In the other column or on another piece of paper, help them cut out and paste the same sight words that they find in magazines or newspapers. You can also tape or glue the words in a jumbled up order, then have your child draw lines to connect each word. Chalk Hopscotch: Create a hopscotch outline, then have your child write words that make a sentence into different boxes. Have them hop in the order of the sentence, have them jump to sight words, or have them jump to words that start with a certain letter. Copycat: This is especially good for kids who need to take their time and slow down on their writing, and need to focus on how they’re holding a writing utensil. 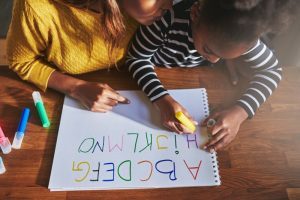 You write various words, and then in different colors, have your young one try to copy (either by writing separately, tracing over, or both) the word as neatly and perfectly as possible. Reading and writing are completely intertwined. We can’t be great writers if we’re not great readers, and the reverse is true as well. 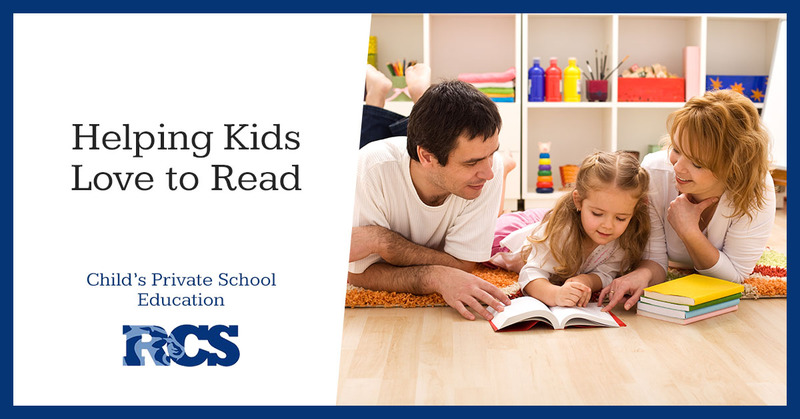 By encouraging literacy as a whole in your household, you’ll be giving your kids a foundation for writing success. Read every single day with your young ones, take frequent trips to the library, and talk about the writing that you’re reading. Are there sentences that rhyme? What words make you feel a certain way? If you closed your eyes and listened, could you still picture the story? Engage in a dialogue with reading that revolves around writing, and you’ll set your kids up for success. There are any number of ways that kids deal with and react to writing. Some might try to write everything perfectly, and get hung up on the spelling of words. Others might get frustrated with the struggle of holding a writing utensil and producing neat words and letters, and might want to give up. Our private school knows that the best things you can do for your child’s writing practice are to be encouraging, patient, and focus on the big picture. Create a culture in which writing is a messy process, it’s not perfect, and that’s the point of it. Always applaud your child for going the extra mile and persevering through tough tasks. In our next blog, our private school will cover some of the ways in which you can help your older children with their writing exercises and homework. Stay tuned, and contact Resurrection Christian School for any questions you might have on enrollment, academics, or more. If you’ve ever felt confused looking at your child’s homework, struggled to explain a topic that seems easy to know but hard to teach, and dealt with the frustration of homework help, you are not alone. In fact, you’re probably part of the majority! Helping kids with homework is a challenging task, much more so than it may seem. But more than anything, it’s both commendable and loving that you want to help. Our private school is starting up a blog series called “Homework Helper” to assist families in helping their kids at home. Today’s topic: Multiplication! Learn more from Resurrection Christian School, and contact us to schedule a tour with our campus! Grouping: Kids should be able to group objects into equal sets, and should recognize that if they’re trying to count out 20 blocks, it’s faster to grab several at a time. Extended practice: Have your child count out objects and ask them if there’s a faster way to do it, then model what you mean (“Is there a faster way to count out 30 pennies?”). Group counting: Similarly, your child should be able to count off by numbers: twos, fives, and tens are a good starting point, then go into threes, nines, fours, sixes, sevens, and eights (that exact order might be most beneficial). Extended practice: Continue practicing to count everywhere and anywhere — road trips, items at the grocery store, money, etc. Number order: Your child should confidently know what number comes before and after a number — ideally up to 1,000. Extended practice: Make number line charts and turn it into a guessing game (“I’m thinking of a number that comes after 42 but before 63.”). Addition: Your child’s adding skills should be basically flawless — even if it’s not perfect, they have mastered the concept. Extended practice: There are countless coloring sheets that are addition-focused, as a fun activity to hone in on the basics. Continuing to ask real life scenarios (“I have four apples and eight grapes. How many pieces of fruit do I have?”) are also beneficial. Area Method: Draw a rectangle, divide it into the problem at hand to figure out how many squares are present. For example, 3 x 5 would look like a rectangle with three squares drawn on one side and five squares on the adjacent side (like a grid). Group Method: Draw (or use connecting blocks — Legos work too) groups of numbers to find the total. For the same 3 x 5 example, connect five blocks together, three times, or draw five dots three times. This is a bit more time-intensive, but it might help your child get started with mastering the basics. Money: We multiply with money all the time and don’t even realize it! Money is great for mastering the fives and tens tables — five pennies equal a nickel, ten equal a dime, and so forth. Have your child practice converting money (they might be extra motivated if they get to keep a penny or two, too!). At some point, memorizing multiplication facts will make their lives so much easier. But rote memorization does not leave much room for expanding in mathematical knowledge and insight. Understanding fractions, division, area, and perimeter are all things that require a sound foundation. If your child is struggling with multiplication homework, try out these methods before jumping into flashcards and memorizing their times tables. Once they’ve shown they understand how multiplication works, then you can move into memorizing facts. Practicing flashcards, having a times table chart that they get to color in and track every time they master one of their times tables are all things that can help their multiplication progress. How do I know if they’re ready? If your child is automatically knowing how to set up an array, sees a multiplication problem and instantly starts drawing out the problem, they most likely know how multiplication works, and are ready for memorizing facts. But if you’re not sure they’re fully understanding this math concept, you can — first and foremost — always get advice from their teacher or check in with them. There are also tons of online games and videos that you can help your child with. At Resurrection Christian School, we are committed to helping all children succeed, and we know that so much of a child’s success comes from home. It can be frustrating when you don’t know how to help, but hopefully, these tips have provided you with some further insight. If you have further questions, never hesitate to reach out to our private school! In the meantime, stay tuned for our next Homework Helper blog, and schedule a tour with our preschool, elementary school, middle, and high school today! When we picture our children going to school, we like to image them walking down the halls, talking to their friends, joking around with their teammates, being respectful to teachers and other school faculty. We picture a supportive, caring community that helps your children thrive and feel accepted. Unfortunately, this is not always the case. Bullying is one thing that happens in too many schools across the country. It is not easy finding out that your child is being bullied, it is also not easy finding out the opposite, that your child is the bully. As hard as teachers, staff, members, parents, and peers try to prevent bullying and help those being bullied, it still happens. At Resurrections Christian School, we work hard to make sure bullying doesn’t become an issue. Our school’s mission, beliefs, and setup help us to create a community that is caring, loving, and supportive. Since our school begins with preschool and ends with high school, our students grow up together, get to know each other, and become one community. Our weekly chapels, bible classes, and Christian mindset help our school maintain a positive and caring environment and help our students learn to treat everyone with respect. We want our students to feel safe and comfortable at our school and on our campus. We do our part, now it is time to do yours. Talking to your children about bullying is a great place to start. It doesn’t matter if your child is being bullied, is the bully, or is just an innocent bystander. Every parent should talk with their children about bullying, even if they don’t talk to you about it first. Are you not sure how to talk to your kids about bullying? In this blog, we will go over some tips to talking to your children about bullying and how to do it most effectively. Read on for more tips and help us end bullying. Talking to your children may be difficult. Kids don’t always like to open up to their parents, tell them what is going on, or ask questions about anything that may be hard to talk about. In an Insider article, Jim Jordan, who is the president of reportbullying.com, gave some advice on how to talk to your children and how to figure out the best way to do so. Jim Jordan mentions that there are three categories when it comes to talking—talking about ourselves, talking about others, and talking about objects and events. Out of these three categories, he mentions that most children hate talking about themselves and their own problems. Talking about others, events, or objects can help your child open up to you and actually talk rather than giving one word answers. Figuring out which way is best to talk to your kids is the hard part, but once you figure out what opens them up the most, you will be able to talk to them about many different things. Bullying is a serious issue and you should never blow it off if your kids talk to you about it. Often times, parents will tell their children to toughen up, ignore the problem or person bullying them, or that the bullying will end eventually. These are things your child does not want to hear, especially after opening up to you about being bullied. Unfortunately, bullying can lead to something worse, so taking it seriously when you’re first told about it or when you first notice something is different can help your children. If you notice that your child is acting differently, skipping activities they used to love, avoiding school, or no longer hanging out with friends, it may be a sign that they are being bullied. If your child isn’t sleeping well, isn’t eating, avoids certain situations, and has become moodier, bullying may be the cause. When talking to your children about bullying, you don’t want to jump straight to the point. 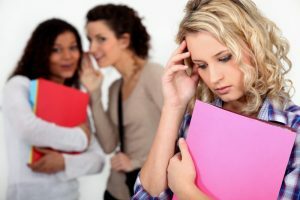 An article from Kids Health, suggests using different opportunities to start talking about bullying, such as a TV show that shows some instance of bullying. You can ask your children what they think about what is happening, what they would do in this situation, and maybe even go as far as to ask them if anyone gets bullied at their school. These questions and this discussion may help them open up to you about their situation and feel more comfortable about the topic. Even if your child is not showing signs of being bullied, talk to them about the seriousness and tell them that you are always there to listen and help them if anything does happen. Tell your children that if they begin to be bullied or notice someone else being bullied, they need to tell someone, whether it is a parent, teacher, another adult, or a peer. 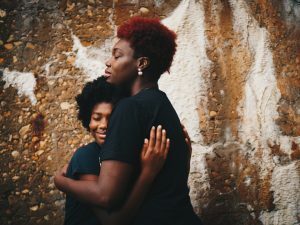 Getting your kids to understand that you will help them and support them through this time can allow them to feel more comfortable if anything does happen. Talking to a school principal, a teacher, or a counselor at the school can help get eyes on the situation and hopefully end it. It can be hard dealing with bullies and giving kids advice on how to deal with it. The Kids Health article gave a few words of advice to give your kids. One of their strategies is to simply and calmly tell the bully to stop and walk away. Bullies thrive off of your reactions, so telling your children to not react, ignore them, and even play on their phone while the bully is trying to get to them can help. The bully will eventually get bored and stop bothering them. There are many different ways to dealing with a bully, and hopefully your children never have to worry about it. But knowing how to deal with bullies and help your children deal with bullies can help make it easier. Your children may want to try getting the bully to stop on their own before you go to the principal, let them try one of these methods and if nothing changes, then seek additional help. At Resurrection Christian School, we work to keep our community and students caring and supportive. We do not tolerate bullying but know that it happens, that is why we wanted to give parents additional information on how to help your children deal with a bully. Learn more about our school and what we stand for today. Our character is who we are mentally and morally, it is how we act in different situations, the traits we carry with us throughout our lives, and something that can be learned. 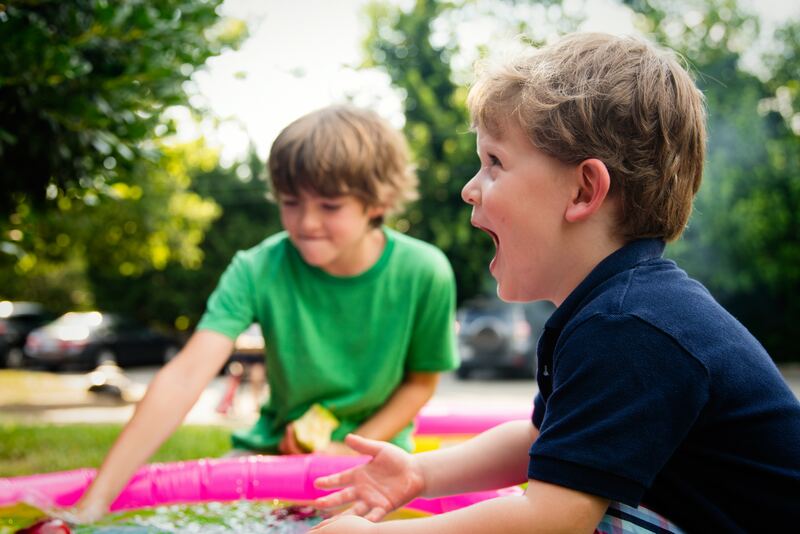 While your child may learn some of these positive character traits on their own, there are ways to teach them and help them develop these characteristics. Helping your child grow to be compassionate, peaceful, confident, responsible, and empathetic people is easier than you may think, but does take some work. By teaching your child these traits and helping develop these characteristics, you can help them become the person you and God hope they become. You want your child to be caring, loving, and thoughtful. There are different ways to help your children develop these characteristics and grow with them, helping them be a caring person throughout their lives. There are many important characteristics that we need to teach to our children and help them develop. We want them to be kind to those who need it, to be confident in their own abilities, and to stand up for what they know is right. At Resurrection Christian School, we encourage these character traits and push our students to build their character and work on these positive characteristics. Peers, staff, family, and everyone else your child is surrounded by can influence their character and who they become, but when your child is surrounded by a supportive, compassionate, and thoughtful atmosphere, they will be more likely to build and develop characteristics that help them become a good person. There are many characteristics that we want to help our children develop. In this blog we will go over some of these character traits and how to teach your children about each, as well as how to help your child develop positive traits overall. Being kind can make all the difference in the world and teaching your child to be kind to everyone can help them to build friendships, to make a difference in their community, and can help spread the kindness. Overtime your child will understand what kindness looks like and how they can show kindness to others, but to get them to recognize this easier, iMom suggests giving them tasks that they can begin to recognize as kind. Tell your kids to find a person at recess or at lunch that is alone and askthem to eat or play with you. This can help a lonely child feel as though they belong and help your kid learn more about kindness and find other ways to be kind to others. Volunteering can also help your children develop a kindness. They will be able to see the difference they can make and how their kindness can spread to others. Kindness and compassion are characteristics that everyone should develop and learn, and teaching your children at a young age can help to spread the love. Teaching your children how to be responsible at a young age can help them throughout the rest of their lives. There is a lot to teach a child about responsibilities. Start by giving them chores around the house, have them clean up after themselves, help load the dishwasher, get their younger siblings a snack, and other small tasks. This can help them to realize that they will have to put others before themselves and their own wants. Teaching them responsibilities within the family will help them to understand their responsibilities within society as they get older as well. You also must teach them how to take responsibility for their own actions and accept the consequences. Character Ed mentions that parents should never make excuses for their children’s behavior or shield them from the consequences. Children need to learn from their actions, take responsibility, and accept the consequences. Teaching your child manners can help them to develop and grow into polite adults. Manners are an important things to teach your children. Teach them how to properly greet someone, the interrupting is rude, and how to act polite in public. Start by helping your little ones learn how to do polite introductions, with eye contact, a firm handshake, a smile, and a name. It is easy to be impolite when meeting someone for the first time and many adults to it all the time, even by accident. Whether they have something on their mind, have had a bad day, or are rude by accident, it happens all the time. Teaching children how to be polite and working with them on it can help them to develop polite behaviors which they will hopefully use for years to come. A patient child is not something we see often. Whether they are tagging along for a shopping trip, sitting through church with you, or waiting for you to catch up with your friend, kids are terrible at practicing patients. But patients is important and can help people throughout all of life. Teaching your child the importance of patience and how to be patient can help them develop this trait and carry it throughout the rest of their life. Challenge them to make it through a chopping trip without complaining. Allowing your child to doodle or participate in some other quiet activities while you are shopping or in church can help them stay distracted and quite so you can pay attention or finish shopping quickly. But as they grow older, teach them to be patient without a distraction. There are many different character traits that you can teach your children to help them become a person with strong morals and compassion. Teaching your child these characteristics may be easier than you think, besides telling them to be kind to others, giving them responsibilities, and teaching them manners. As parents already know, children learn a lot by watching and observing the people around them. This could be you, their siblings, their friends, a teacher, or just other people in public. But since you are around your child a majority of the time, they will probably pick up more habits from you than anyone else. Make sure you are showing your character so that they know how they should act. If they see you lose your temper with a waitress for bringing the wrong food, they will think it is acceptable to treat others like that. They will see the way you act and follow your lead. Even if you tell them to act a certain way, they are more likely to copy your actions than listen to your words. When you are out in public with them, think hard about how you are acting. Even if it means you have to refrain from speeding through a red light, stop yourself from shouting at the car in front of you, or control your emotions while standing in a long line. It is important to make sure you are being a good example for your child and showing what it means to have good character. When you are teaching your child about morals and character, challenge them and make them think about what these things mean. Ask them why they acted a certain way and how they would feel if someone treated them like that. When they have a difficult choice to make ask them what they think the right choice is and why, let them explain their answer and then give them your opinion and talk about the other perspective. As you challenge them and force them to think about their moral choices and characteristics, they will be able to understand them better, why they matter, and what they choices we make can change how people see us. Even talking with your children about character and morals can help them understand them better and learn what is right. They will be able to hear your opinions, make their own, start to think about their own character and moral beliefs. While your young children may not be the ones you want to have this conversation with, your older kids are perfect to talk with. Have them tell you how they think they should act, what they believe is right, how they think they should treat others, and so on. Your older children will gain new insight from talking about this with you. You children can also learn a lot about character and morals when they attend Resurrection Christian School. We push our students from elementary to high school to be more caring and kind to their peers, to be honest and patient, and to be polite and respectful to everyone they meet. Building character isn’t tough, but it is easy for someone to get it wrong. Contact us today to schedule a visit and learn more about our schools. Taking a family vacation is fun and exciting. It gives you time to bond with your kids and take a break from your hectic lives. Vacations can be full of adventure in a strange new place, or a relaxing break in a destination you head to every year. 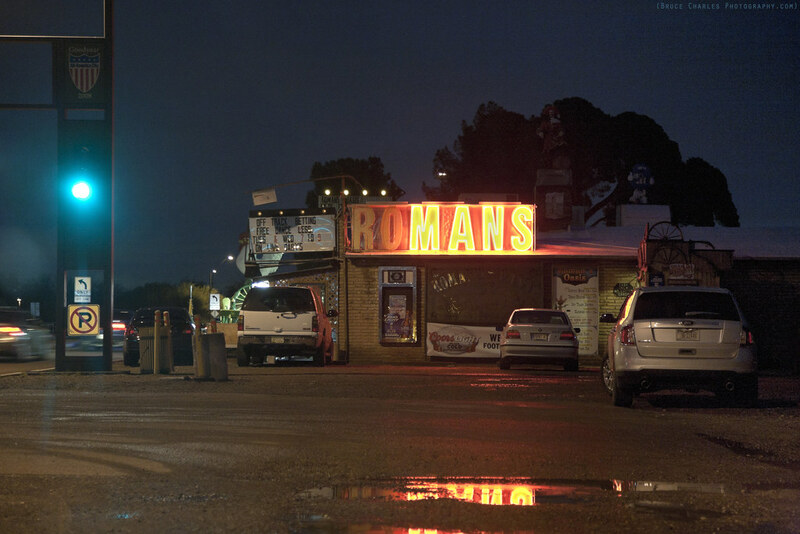 Whatever the case may be, it is about the time to start making plans. You want to bring your children to a place that they will remember forever and that they will be able to experience a different culture. Many parents want their kids to see what it is like living in other places, to show them how great they actually have it. And we get that. Nowadays, people can lose sight of how lucky they are and have no idea how much they actually take for granted. That’s why we take our families on vacations to experience the world and the different lives that are lived daily. But let’s take it one step further. Why just bring your family to a remote location to show them different cultures and place that may be less fortunate, when you can actually help out as well? Volunteer vacations are a great way to spend time vacations while also helping out different communities. These volunteer vacations can be anything from helping the environment and animals to teaching english or building houses. A CNN article answers some questions you may have about volunteer vacations, offering a ton of information about this unique vacation. According to CNN, the best place to start for your volunteer vacation is idealist.org. This site can help you find the right vacation and nonprofit for you and your family. You can also try volunteerinternational.org. These sites can help you learn more about different communities that need help and could be the perfect volunteer vacation. These vacations are fun and meaningful, helping to bring your family together while allowing you to give back to the community. You may be a family that gives back to your own community regularly, but there are so many communities throughout the world that need help and support. This is why volunteer vacations are the perfect option. Take a break from your regular life, visit a beautiful country with a unique culture, and help out different people around the world. Some people may think it is strange, paying for a vacation to go and volunteer. While that is understandable, it is a great way to help out, give back to different communities, and visit a destination you have always wanted to go to. Think about it this way: you could either sit on the beach all day, or you could help teach English to children who will show so much appreciation and love for you. 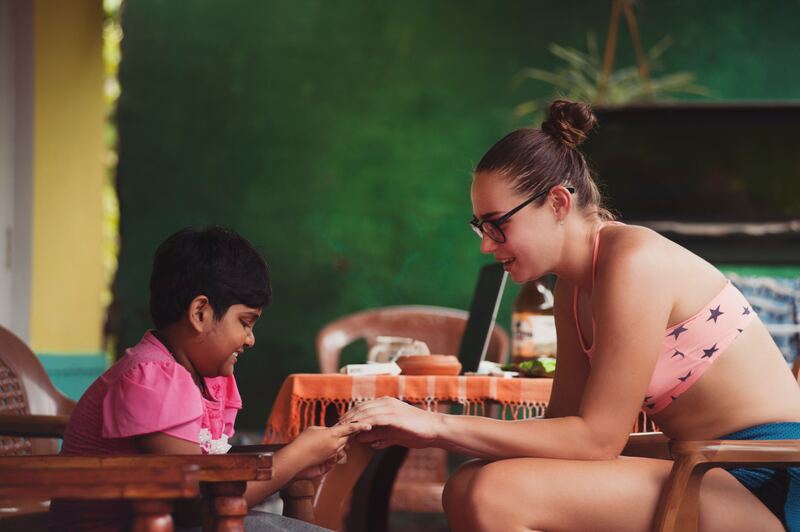 There are many different vacation destinations that can include a unique volunteer opportunity. At Resurrection Christian School, we require our seniors to go on a mission trip, helping out in different communities, getting a taste of different cultures, and giving back to the world. We understand how important these mission trips are for different communities and how important they are to our students. Volunteering and helping others is a great way to bond as a family. It can help you realize how lucky you all are and bring the entire family closer together. While kids often times don’t enjoy volunteering or helping out the community, as they begin to see the impact they are making they will realize how important this work is and how much it can truly help a community. While you can find a volunteer vacation just about anywhere, you will be able to feel good about it. Vacations are supposed to help you relax, but often times, vacation are spent doing absolutely nothing, making them hard to remember and pretty unexciting. Or they are the opposite. There are way too many plans to even enjoy your vacation—scuba diving, exploring the island, hang gliding, zip lining, a famous tour, the list goes on and on. These types of plans can be excessive and make the vacation more of a stress when it should be relaxing. But spending a day or two out of your vacation volunteering can make a difference. This can give new meaning to your trip and allow you to enjoy it more. Spending a few days helping others will giving you vacations more of a purpose and help your family feel as though they are doing something important. You will still have time to relax and spend time as a family, but the volunteering can make it that much better. 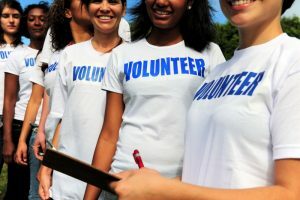 There are many great reasons why a volunteer vacation is beneficial to your and your family. But having the ability to truly give back to the community and make a difference is a good enough reason to use your vacation to volunteer. When your family realizes that they can make a difference to a community, it may change the way you view vacations. It makes you think differently about spoiling yourself. It can help you see that you can help others while enjoying a vacation in a beautiful location. Many vacationers spend the entire trip on the beach, in a resort, enjoying time with the family, time to unwind, and time to waste. But when you volunteer during your vacation, you get a completely different perspective. Your entire family will see what a country truly is like and be exposed to what is really going on. While resorts are all glamorous and beautiful, they may be a hidden gem on an island in need. Volunteer vacations can show your family what is truly going on in these places and allow you to help make it better. This type of vacation can give you all a different sense and allow you to get a different perspective of popular vacation destinations. A volunteer vacation is a great way to spend a break enjoying family time, staying in a beautiful location, and giving back to the community. There are many different ways you can give back. Even here in Colorado, you have the opportunity to give back to the community while enjoying a break from work and school. The Sierra Club in White River National Forest in Colorado gives you the opportunity to work on trails, create animal habitats, and preserve the environment right here in your backyard. These are great types of vacations to bring your family on. They allow you to make a difference, spending quality time together, and gain a different perspective of the world. If you are planning a family vacation for you and your family this summer, think about experiencing a volunteer vacation, this could be a trip that changes your life and helps your children learn more about the world. At Resurrection Christian School, your children will take part in a mission trip that will allow them to gain experiences in different cultures and help out different communities. Contact us today to learn more about our school and our programs. School should be fun, exciting, and a place your child feels as though they belong. Your kids have the chance to learn about many different subjects, join a wide variety of groups, and meet people from many different backgrounds. While school is meant to help your children explore different subjects and become part of a community, some students may not find as much joy in school as others. Yes, homework is never fun and tests can be stressful, but school is not all about homework and tests. It is about finding new interests, learning new things, and finding a place in this crazy world. At Resurrection Christian School, a we work hard to make sure our students have the best possible school experience. We help them follow their interests, feel welcome in our community, and encourage them to continue to push themselves. RCS knows that importance of school and how it can affect our children’s future, and we work hard to make sure they love school. There are a few key components to inspiring your children to love school, including everything from a sense of community and belonging to enjoying what they are learning. While you may be thinking that every school offers these things to their students, there are a few things that make us different. While most schools likely create a sense of belonging and community for their students, none of them have a community quite like RCS. At our Northern Colorado school, your child can go from preschool to high school on our campus. As they grow they will attend the different school on our single campus and continue their school journey with all of their friends. This is different and special from other schools because your students will grow with their friends and peers all the way until they are ready to head to college and start a life of their own. Having multiple schools on one campus can make the sense of community even stronger than it is at other schools. Your child will become familiar with everyone in their class and in the classes older and younger than they are, they will become familiar with the teachers and staff, and they will be a special part of the community. For many students, middle school and high school can be a tough time in life. In public schools, you will switch to a new school during 6th or 7th grade, and again in 9th or 10th grade. This can be stressful and nerve wracking for many students, especially if their friends are going to a different school. They will be forced to meet new friends, find a new community in which they feel welcome, and start from scratch. But at RCS, your children will never have to worry about this. They will switch from school to school with their entire class and have the chance to stay with their friends and meet new friends as well. With many different student clubs, activities, and athletics to be a part of, plus other events, your student will be able to become a part of many different communities within our tight knit school community. We know the importance of making students feel welcome and wanted, that is why we do what we do and encourage students to participate in many different activities. Another important factor in getting children to be interested in school is what they are learning. Classes, groups, and extracurricular activities can help to build your student’s interest in school. At Resurrection Christian School, we work hard to make sure we provide your students with interesting material, exciting activities, and a variety of groups to join that help them explore their interests. Our faculty and staff is dedicated to creating an exciting learning environment for students, which can help students build a love for school and learning. 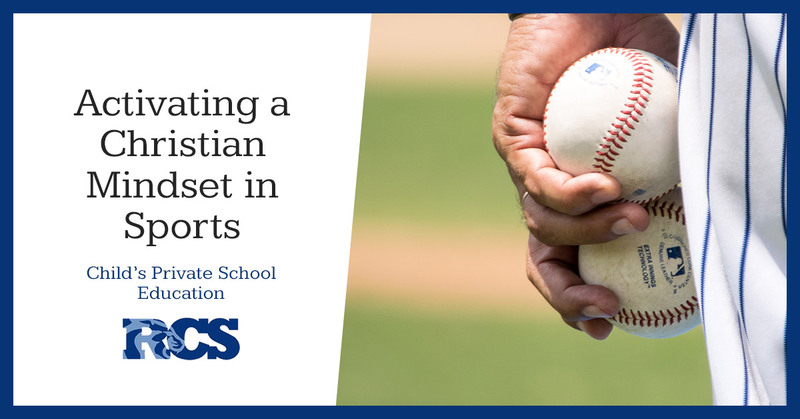 From elementary school to high school, your student will be able to participate in a plethora of classes and activities, from fine arts and physical education to foreign language and bible study. Whatever your child’s interest is, they are sure to find a few classes that can teach them everything they are curious about and help them find a love for learning. While Resurrection Christian School works hard to make sure every student feels welcome and is offered classes of interest, we are not the only ones who can help yours kids find an interest and love in school. Parents can do a lot to help their students find an interest in school and a love for learning. Starting at a young age, you can help your child develop the curiosity that makes that was to follow their interests. This can lead to a love for school and learning. There are some people born with a natural love for learning, they want to learn as much as they can about the world, the way things work, and what makes them curious. But not everyone is like this, so helping your children learn to love learning can help them succeed throughout school and the rest of their lives. Here are a few ways to help develop your child’s love for learning. Some children may be interested in Egypt while others have a desire to learn everything they can about foxes. Whatever your child may be interested in, help them and encourage them to keep learning and finding out new information about these topics. Bring them to the library to pick out books about their interests and allow them to read as much as possible on the topic. Sit down and learn with them. If they ask you questions about how big the Great Pyramid of Giza is, don’t just answer that you don’t know. Instead look it up and find out together. This will not only help them keep their interests alive, but it will also teach them that you are learning something new everyday throughout your entire life. Your children may be interested in something that you have no desire in learning about, but that doesn’t mean you should shut down their curiosities. Encourage them to learn what they can and act excited when they tell you about what they learned. To keep your child learning new things and excited to learn more, talk to them about different topics that somehow relate to what they are interested in. For example, if your child is interested in foxes, tell them about interesting animals that they may want to research. There are always topics to explore that are based off of other interests. Your child has to ability to learn just about anything, encourage them to do so. 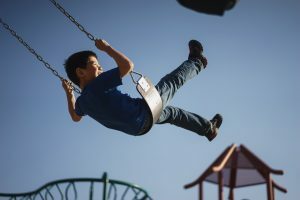 While many parents may want to jump in when their child is working through a problem wrong, it is important that you don’t jump in every time. Let your child think through different problems, think about what they are supposed to be doing, and figure it out on their own. This will help them to actually learn and be able to problem solve better, plus they will feel more accomplished and be excited that they were able to figure it out alone. Let your children struggle and figure out different problems on their own, but be there when they ask for your help. If you reward your child every time they finish a book or complete their homework, they will begin to only do these things for the reward. You want your child to enjoy reading and gain something from it. But when you reward them for completing a chapter in one sitting, they will begin to use reading as a way to get rewards. Allowing your child to learn based on their interests and curiosities can help them to learn better and give them a purpose to read a book or finish their homework. There are many things you can do to help encourage your children to love learning. From feeding their curious minds to limiting TV time, you can help give your children the necessary resources to help them find a passion in learning new things and exploring different topics. This will not only help them develop a desire to learn while they are young, but it will encourage them to continue to research new topics throughout their lives. Developing a love for learning is a great thing and one thing that we should help our children with. With a desire to learn, a variety of classes and activities that feed our interests, and a sense of community and belonging, your students will learn to love school. At Resurrection Christian School, we can help provide these things for your kids and allow them to enjoy their school. Learn more about RCS and apply online to start your child on a journey that will allow them to get more out of school than you could have hoped for. Contact us to learn more and help your child develop a love for learning and school. As our children grow older, they face many difficulties. They have to figure out who they are, what their purpose is, and work hard to not fall for peer pressure. In our current society, being a teenager is hard. They are exposed to a lot through media and peers and are expected to stay true to their beliefs and not follow what everyone else is doing. We want our children to stay away from certain things, we want them to be strong enough to say no to peer pressure, and to question why they should act like others. Being a part to a teenager is also hard, because once our kids hit that age, they become more independent, secretive, and stubborn. But we can help them stay on the right path. At Resurrection Christian School, we understand the difficulties of being a teenage. We understand that there are different forces telling our teens to make different decisions, but that doesn’t mean we can’t help them stay on the right path. The staff at Resurrection Christian School can help you students stay on track. We will give them a great education that will help them advance in their future, give them the opportunity to become a part of the community, and help them express their love for God. Helping your teen grow and develop into a well rounded adult is something most parents work hard for, but teens are difficult. We have all been a teenager at one point, think about how you acted and how you treated your parents. 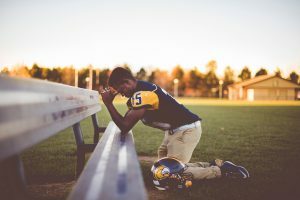 In this blog, we are going to go over different ways to build a better relationship with your teen and help them build a better relationship with God. Even though your teen probably thinks it is no longer cool to hang out with their parents, it is important that you push for family time and encourage them to spend time with you. Find something that you can all do as a family that will be fun and allow them to see that spending time with you isn’t all that bad. Have a family game night, cook dinner together, go for bike rides or walks through the park—anything that allows for conversation and fun. Another great thing to do with your teen is to go to church activities together or participate in church volunteer events. Don’t allow them to spend their time with your texting or checking social media, and make sure you aren’t doing it either. Even if it is one on one time, like taking your daughter shopping or golfing with your son, they will be able to build a new relationship with you and feel comfortable talking to you about different things. Plus, they may start enjoying your weekly hangouts. One reason why teenagers don’t always tell their parents everything is because parents are not always the best listeners. If your teen comes to you for advice or just to vent, try to be a good listener and don’t judge or get upset. Listen to what they have to say, their opinion, or whatever else they want to tell you and think before answering. Some people want your advice and others don’t, they just want to vent. If you aren’t sure what your teen is looking for when they talk to you, ask them “would you like my advice?” and if they say yes then you can give it to them, but if not, staying quiet is better. One bad conversation with your teen and they may not come to you to talk again. It is hard to be quiet during certain discussions with your teen, but knowing how to respond and making sure you think before you speak can help them come to you more often for talks and allow your relationship to grow stronger. As your teens grow older and you can have adult conversations with them, it is easy to start seeing them more as a friend than a child. While this isn’t the worst thing in the world, you should be aware that it may not help your relationship. Your teen still needs a parent and definitely still needs someone setting guidelines and rules (whether they agree or not). Be sure to set boundaries and make sure your teenager understands that you are still in charge. That being said, you should still be sure to try to treat them as adults and not children. Calmly talk about the boundaries you are setting and hear out their arguments. You can listen to what they have to say but don’t let them make their own rules. Being a teenager is a weird and troubling time. More than anything, your teen needs your love and support. 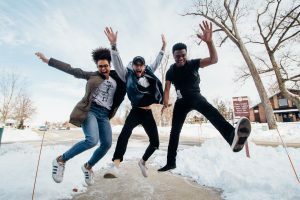 During adolescence, it feels as though the world is against us, so being on your their side can help you build a better relationship and help them through a few difficult years. Make small gestures to show you care and support them. Make their favorite meal on a day that is stressful for them, leave them notes just to say you are proud, and be sure you always apologize or discuss your argument and figure it out together. Never stay mad and never let them stay mad, this will help you work on your relationship, as well as teach your teen how to best handle conflict. Once your relationship with your teen is stronger, you can help them work on their relationship with Christ. At RCS, we will help your teens stay involved with church, mission trips, and daily prayer. But you can also help them, by incorporating different daily activities at home. Making prayer a part of your families daily routines can help to make God more prevalent in your lives. Pray before you eat, before you go to bed, on the way to school, and any other time that feels right. Pray with your teens about people in their school, people you work with, and other families in need. This is a great way to feel closer to God and help your teen build a better relationship with Christ. Go to church more than just on special occasions, like holidays. Make church a part of your life by going every weekend and getting involved. Volunteer at church events, join a bible study group with your teen, and help them get involved with different groups within your church. This will allow them to meet other teens who are making Christ a main part of their lives, helping them to find good influences to surround themselves with. Being selfless and volunteering in your community can help in many ways. It will help you and your teen’s relationship grow stronger, while also helping them to realize the importance of helping others and allowing them to learn gratitude. Even if it is not through the church, this can help build their religious relationship more. There are many ways to help your teen develop a better relationship with God, but these are a few of the simplest way to do so while also working on your relationship with them. Your teenager is no longer a child, meaning that you cannot treat them like they are. Work on your relationship with them, it can help them make it through this tricky time and may even alter how they make their choices. Your relationship with your teen is important and having a good relationship can help ensure that they turn out better than you hoped. You can also help them work on their relationship with God, by spending time with them at church activities, making prayer a daily part of your life, and by connecting through volunteer. At Resurrection Christian School, we can help your teenager in many ways. Our education program is one of the best in Northern Colorado, we involve Christ into our daily routines, and we help prepare your kids for the future. Apply your child today and learn more about our schools. Winter and the holidays are a time when a lot more volunteering opportunities are available. Many people tend to volunteer more during the holidays, perhaps because they feel like giving back to the community, or maybe it is because the holiday spirit brings out the best in people. Whatever it is, the holidays are a great time to get involved and help out your neighbors, friends, and the community. There are many different ways to help out, not all volunteering has to be done through events or organizations. Volunteering and giving back to your community is a great way to spend family time together while making a difference. Volunteering with your kids can show them the importance of helping others and giving the holidays a different meaning. It may even encourage them to spend more time throughout the year helping others and making a difference. Finding time to volunteer may be difficult, especially around the busy holiday season. But there are simple things you and your family can do that can make a difference and help those around you. At Resurrection Christian School, we encourage our students to get involved in the community and volunteer in different ways. Our students take part in different organizations throughout the year, including Art for Water, Operation Christmas Child, and more. But we also encourage our students to get involved in the community outside of school, whether it’s with their families or friends. Encourage your kids to volunteer and help out your neighbors and friends this winter, and feel free to join them! There are simple ways to help out and give back, in this blog we will go over different things you and your kids can do for your community and neighbors, starting this winter! In our previous blog, we discussed donating old toys that your kids aren’t playing with anymore. But you can go even further than that. Go through old books, jackets, clothing, kitchen supplies, and other things that you can donate. A lot of these items are needed by families and sadly many families who take part in Adopt-A-Family, ask for winter jackets, gloves, strollers, and other items for Christmas. They don’t need the latest toys, they need everyday items. So, if you have extra items lying around your home and donate them, allowing people who need these items to get a hold of them. Another simple way to donate is to find loose change around your home, car, backpack, or purse and drop it in a Salvation Army bucket. Every penny counts, and your spare change can help change someone’s life. Donate your time to help your at your church’s food drive, toy drive, or whatever other volunteer events they host. Sign up for some of these with your family and spend one day on the weekend helping out. Your church is a great place to find these event and get involved with your community. Senior citizens often get lonely around the holidays. Many of them do not get visitors, and this time of year can be hard for them. There are many senior centers around Fort Collins and Loveland, and many of them are happy to have volunteers come to visit the seniors. Spend some time learning their stories, talking to them, and reading or playing card games with them. This is simple to do and can be fun. Your children will love hearing the stories the seniors have to tell and the time spent listening means a lot to these folks. This easy activity will make all the difference to those who never get visitors. 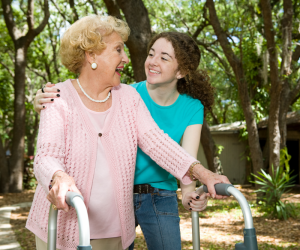 Visiting senior citizens is a great way to make a difference, and can truly brighten someone’s day. A small gesture is a great way to make a difference and help spread a bit of holiday cheer. When you are getting your morning coffee at your favorite coffee shop, pay it forward by buying the coffee of the next person in line. This type of action can start a chain reaction and get people passing of the good gestures all day long. Sometimes it is fun doing a good deed without anyone knowing about it, it is like being Batman, but without the villains. You never know how your contribution can change someone’s day. When someone is having a bad day and they feel likes nothing can go right, a small and simple thing like this can completely turn it around. You could help someone with more than just their coffee. You could brighten up their day and put a smile on their face. This is fun for your and your family to do as well. Ask your kids to pick out a family at a restaurant and pay for their meal. Your kids will love the secret surprise and the family will never forget a moment like that. Your neighbors may be strangers, or they may be your best friends. Either way, helping them out from time to time is a great way to help out in your community. 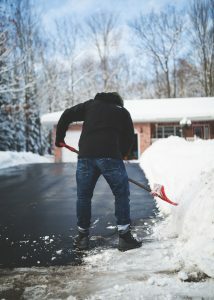 If you have an elderly neighbor, encourage your children to shovel their driveway when it snows, help them put up Christmas lights, or any other small task that may help out. Help carry in their groceries, offer to walk their dog, and help in any other way you can think of. Another fun thing for you and your family to do for your neighbors is to make Christmas cookies and deliver them to each home. This is a great way to reconnect with your neighbors and spread some holiday cheer. If some of your neighbors are new parents, have your teens offer to babysit for them while they go on a date night. They will love the break and be grateful they are able to spend a night enjoying each others company. If your teen already babysits a few of the neighborhood kids, then this is a great way for them to give back. Encourage them to offer to babysit for free and allow the parents to get a break. Unfortunately, the homeless population in Fort Collins are growing, and while many people think that giving money and other items to the homeless is making the problem worse, they are in need, especially as the weather gets colder. Make simple care packages to hand out as you see people you need them. This is an idea from Foodlets, and is an easy way to make a difference. These care packages don’t have to be extravagant, they can be simple and just carry items that are needed. Some ideas include: socks and underwear, granola bars, bottles of water, gloves, hand warmers, packets of gum, Advil, and snacks that last. These are simple items to get and distribute, and they are sure to make a huge difference, helping someone who is truly in need. There are many different ways you and your kids can make a difference everyday without even realizing it. Your children have the ability to volunteer through the organizations we have at Resurrection Christian School, that is a good place to start. Be a good example for your kiddos and say yes to different opportunities that present themselves. Many sports clubs or schools will have students stand out front of grocery stores and hand out lists of items they are collection for families in need. Instead of grabbing a list and throwing it away, get a few items off the list. Even if it means you don’t get your favorite ice cream so you can get a jar of peanut butter for another family, this is an easy way to help out. Donate to the Salvation Army bell-ringers, pick a name of off the Christmas tree in the mall that asks you to get gifts for other kids, help out in your church, and take part in different volunteering opportunities that pop up in your life. If you do this, and this alone, you will end up helping out more than you know. You will make a difference. If everyone did this, imagine how beautiful of a world it would be. This is a simple way to help out your community. You can find a list of other way you can give back here! Volunteering and giving back to the community is important, especially around this time of year. Starting a family traditions focused on helping others is a great way to give back and can help you children become more involved throughout the year. Resurrection Christian School is a great place for your kids to start. We encourage our students to give back to the community and we hope you do as well! Contact us today to learn more!